While some fruit-bearing plants are susceptible to cold temperatures, many others can survive frost in this region with flying colors. 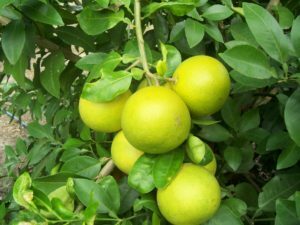 Join Stan McKenzie, known as the “Citrus Man,” as he provides an overview of citrus plants hardy to this area, like Satsuma orange trees and Changsha tangerines. Stan is the owner of McKenzie Farms and Nursery and has a wide variety of hardy citrus for sale at his location just around the corner from Moore Farms Botanical Garden. Join us on Thursday, March 28, 2019 from 10AM-Noon. The cost is $10 per person.